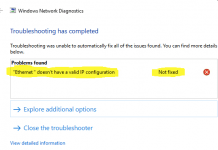 1 How Can I Figure If an Infected Browser is installed on My Device? 2 How to Get Rid of Chromium to Save Your Computer? Chromium is a popular and open-source browser that was released by the Google team. It forms the basis for the Chrome browser. Recently, some hijackers have used the Chromium for injecting malicious codes on to Windows devices. If you have also installed the Chromium by accident and you won’t be able to remove it, then your computer might have installed the fake chromium. No matter, whether you use chrome browser or not, this virus can enter into your computer. So, what would you do in order to remove it? 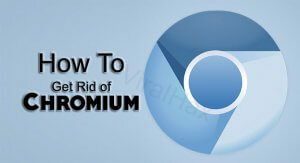 Nothing special, just use the methods which we have to provided below to get rid of the chromium browser. How Can I Figure If an Infected Browser is installed on My Device? Chromium Browser is present on the homepage. The homepage of the Browser is changing repeatedly. The browser is not opening properly on your device. Your computer may start lagging while working. How to Get Rid of Chromium to Save Your Computer? Go to the Apps and Programs on your device. Once you are there, start finding the apps and programs which seem to be suspicious. Keep scrolling until you find all the malicious apps installed on your device. A malicious file will look different than the official applications. Once you have found the apps, click on it. This will display a pop-up on your screen. You just have to click the Uninstall button to delete the files. Malwarebytes is one of the popular anti-virus tools which you can use for removing the Chromium virus from your computer. It’s able to destroy almost every single malware file stored on your device. It has been rated as the world’s best software for cleaning malware from your device. Download Malware on your device. 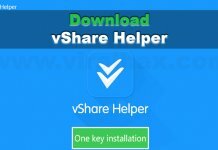 Once you have downloaded the setup file, then click on it to install the software. Launch the software on your device. Agree to the terms and complete the setup in order to start it. Wait until the scan finishes, then click on the Quarantine selected button. After the scan is completed, then restart your computer. This will apply the changes which you have made. Click on the three dots which you can find at the top right corner of your screen. Locate the settings option and click on it. Find and press the Advanced tab. This will open the Advanced settings. Under the Reset tab, click on the Reset button. This will delete all the changes which you have made earlier. Now, you have all the information regarding how to get rid of chromium virus stored on your device. I hope this guide will help you to get rid of the malware. If this guide helped you, then share it with others who also want the same information. Also, if you want any further help, then feel free to leave a message in the comment section below.